Valued Members are finally receiving reward for their prudent practice! 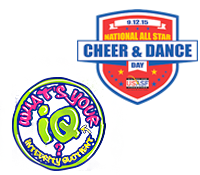 USASF wants to thank Insight Risk Management for fighting for our all-stars and their insurance coverage and cost. We look forward to receiving the information and working with you during the upcoming coverage term. You may contact the insurance office at 901-278-5375 if you have any questions regarding the enclosed materials. Please advise this policy is specifically designed to meet the needs of U.S. based USASF cheer gym facilities dedicated to the instruction and excluded under the policy. If you have other ongoing activities, please contact Menard gates and Mathis for the appropriate coverage. this policy does not provide coverage for injury to employees. Contact us for state specific workers compensation coverage if desired. Coverage for transportation of athletes/participants is not provided under this program.